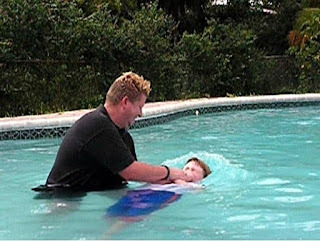 Some of my favorite moments as a pastor have been baptisms. 12 years in this pastor gig, and I still get a rush every time I celebrate another person's life transformation. On July 4th weekend, one of our sister churches in Hot Springs, LakePointe Church, had their annual Baptism Bash during the holiday fireworks display at the lake Saturday night. On Sunday morning, I talked about this during my sermon, and we celebrated with LakePointe that they had baptized 56 new followers of Jesus! (My good friend, Pastor Greg Bearss has since texted me with an update that they actually baptized 63!) I continued by announcing we would be baptizing 4 new followers of Jesus right here at Oaklawn church the very next week. Later, someone approached me and said, "Pastor... wouldn't it be great if we could baptize 56 people?" I was caught a little off guard, I admit it. I didn't realize we were keeping score, or that this could in any way be seen as a competition. My reply to my friend was, "We're on the same team, serving the same God, following the same Jesus. The reason we can celebrate 56 (actually 63!) baptisms at LakePointe is that we're all in this together. Their 56 (actually 63!) plus our 4 equals 60 (actually 67!)! My friend replied, "You know, I never thought of it like that before." What if we stopped keeping score and started celebrating as one family?